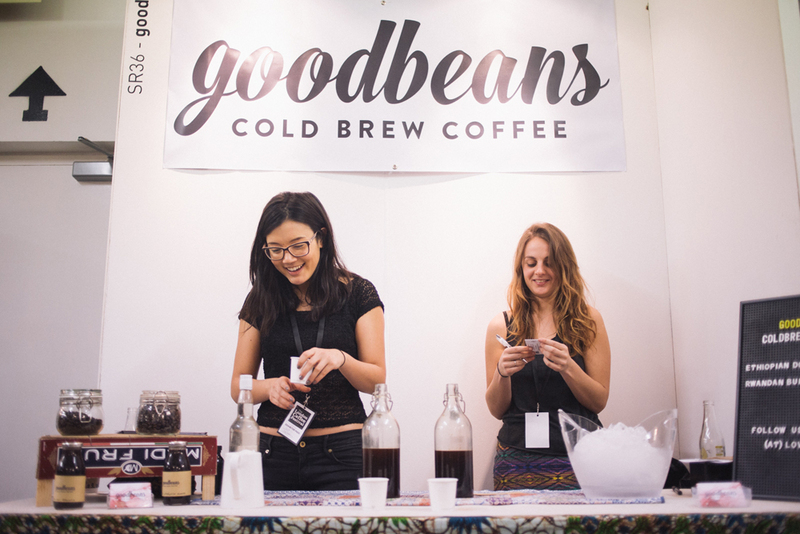 goodbeans is a London-based social enterprise run by friends and business partners Rosa Escoda and Becky Neale. Since 2013, they’ve been making cold brew coffee with the aim to fund services which will benefit the community. The idea of starting their business combined their passion and the opportunity to offer something new to consumers – a delicious tasting drink and the knowledge that the money they spend is being used in social activities. This project is a part of our collaboration with GOODFRUIT, a crowdfunding community where inspiring culture shapers, makers and dreamers bring ideas to life. Tell us about your background and how you two met. How did you get into the coffee industry? Rosa: We have been friends since school, growing up together in Cambridge. 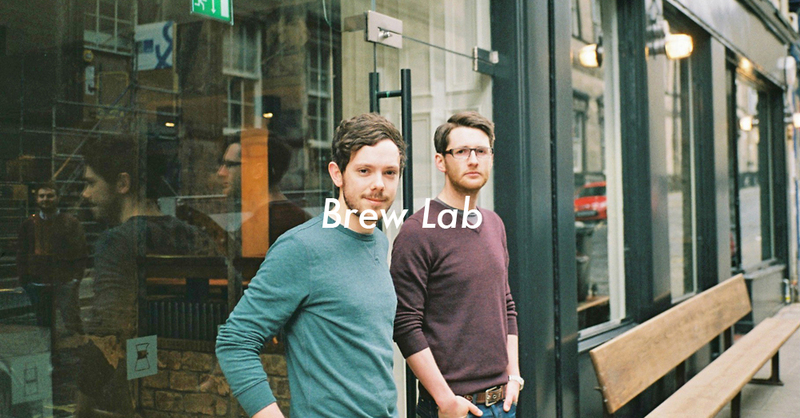 We both share a love of food and drink; moving to London after graduating opened up a whole new world to us and coffee played a big part in our exploration of it. We stumbled into the coffee industry because we struggled to find a great tasting iced coffee and started making cold brew coffee at home. 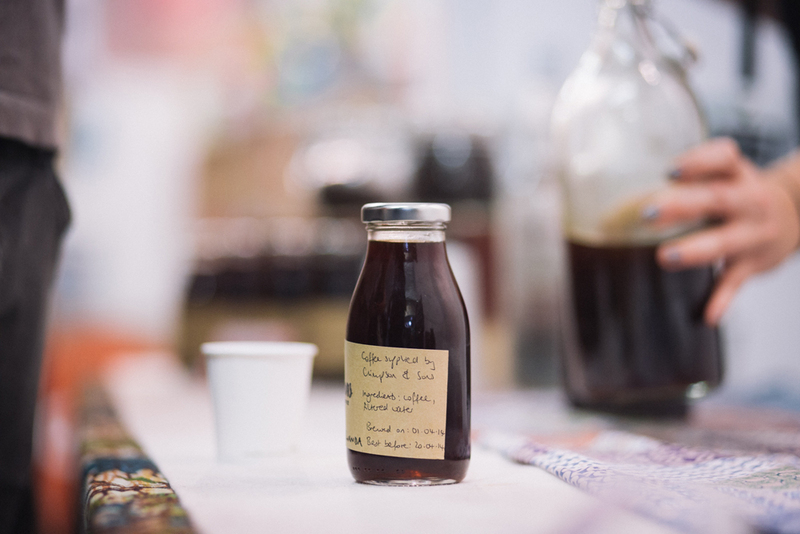 Becky: It felt like a natural transition for us, we’d been dreaming of starting our own socially responsible business and thought, why not create one around cold brew coffee? It’s a product we really believe in, with great marketable value that would allow us to reach a wide consumer base. This seemed like the opportunity we had been looking for. How did your passion for coffee begin and how do you learn about coffee? What does a cup of coffee mean to you? Rosa: For both of us it’s a passion that grew from a young age. Personally, it’s really a result of growing up in Spain where it plays a massive part of life and features heavily in all social interactions. Becky: For me a chat and a cup of coffee was a moment to share with my family at the weekends, before we all went our separate ways. Our love for it grew over time; we began to appreciate what a great coffee tastes like whilst visiting the many independent coffee shops here, which were sourcing and brewing single origin beans from all over the world. Rosa: Learning has been about immersing ourselves into that world; talking to as many people as possible, reading, attending brewing and cupping workshops. It all comes back to what can help us refine the ratios we use when brewing our coffee. A cup of coffee can mean two things. Firstly allows us to savour a moment. It also provides a great motivation to bring people together. 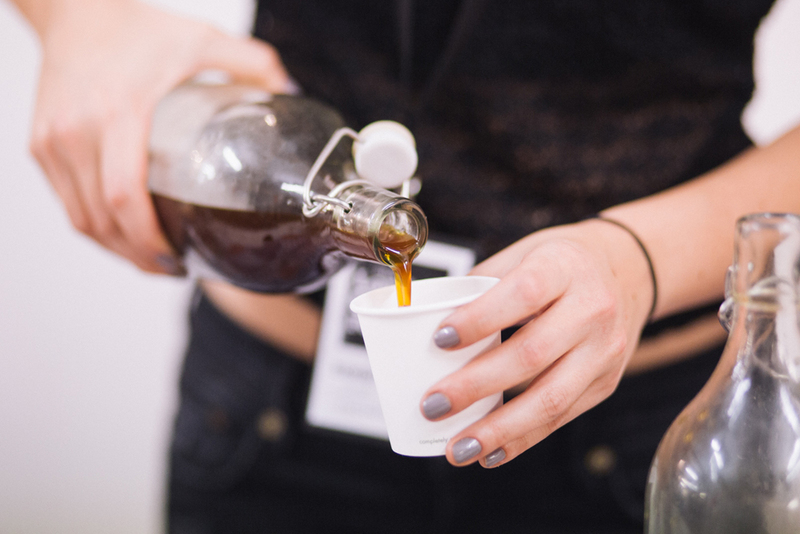 What’s cold brew coffee? Can you explain the process of making the brew? 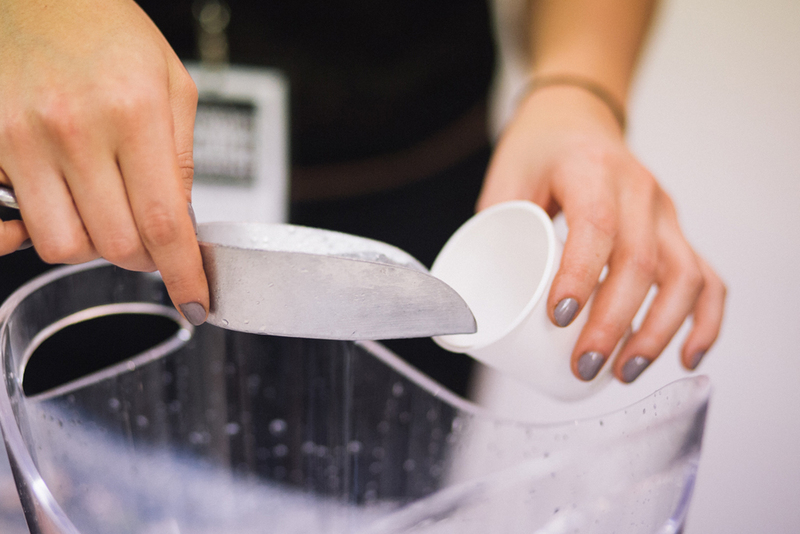 Rosa: Coffee beans are freshly ground and submersed in cold, filtered water for anywhere up to 20 hours. It takes so long because there is no heat to help extract the flavour and of course, the caffeine. Once brewed, it is filtered through a fine filtering system. We’ve found that every bean requires slightly different brew times and perfecting this with every bean is crucial. Becky: We select single origin coffee beans on a seasonal basis. Currently we buy coffee beans from several independent roasters in London who source from single farms and estates where the focus is on quality, sustainability and fair relationships with the growers. As we grow we do hope to have a more direct relationship with growers. 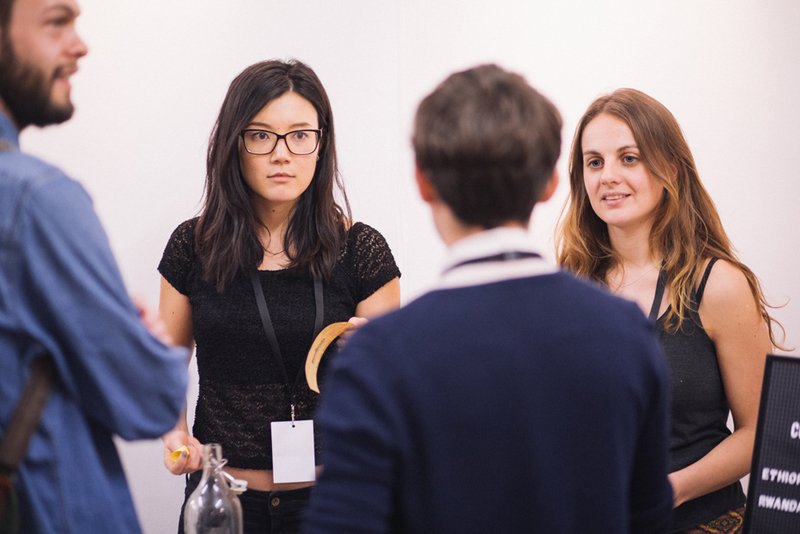 The coffee scene in London is constantly growing and is very exciting at the moment. Tell us about some of your favourite places to grab a good cup of coffee. Rosa: London is such a fantastic place to be right now! 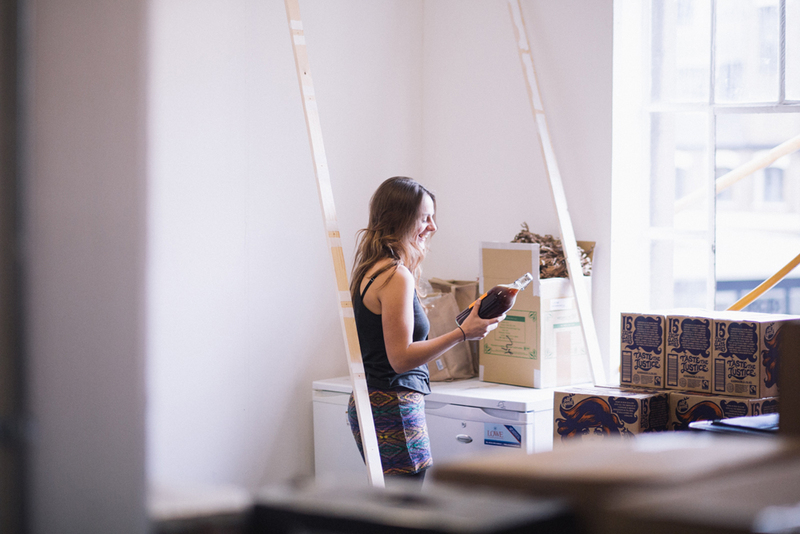 Becky: We’ve both been lucky enough to work and live in areas of London where people are spoilt for choice when it comes to grabbing a good cup of coffee. Ozone is a great place to have meetings or grab a bite to eat. Monmouth in Borough Market is the perfect spot for an early morning coffee and croissant, taking a few crucial moments to ourselves before the day begins. Rosa: If you want to avoid the crowds it’s worth heading to Bermondsey as the queues in Borough get ridiculous at the weekend. Notes is where we head for an afternoon pick me up but further afield there’s Kaffeine, Prufrock and Workshop to name a few more. 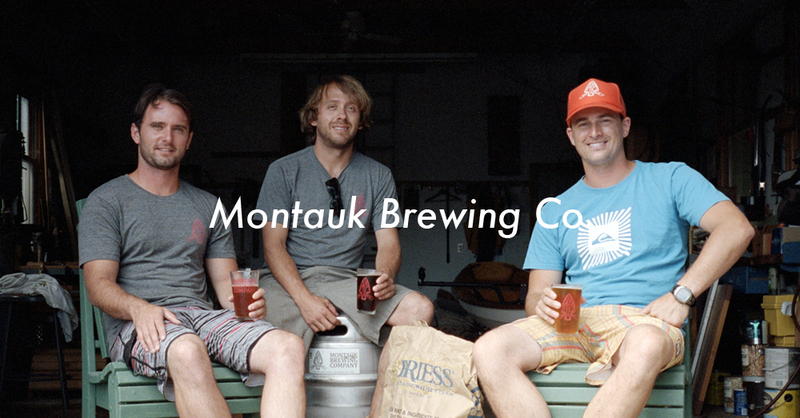 Is there anything you believe you do differently from other brewers? There is a strong ethical message behind Goodbeans. There is also a very strong community element to what you do; tell us about that please. Rosa: Cold brew coffee in itself is still our USP, it remains the new kid on the block in many ways with many people yet to discover it. 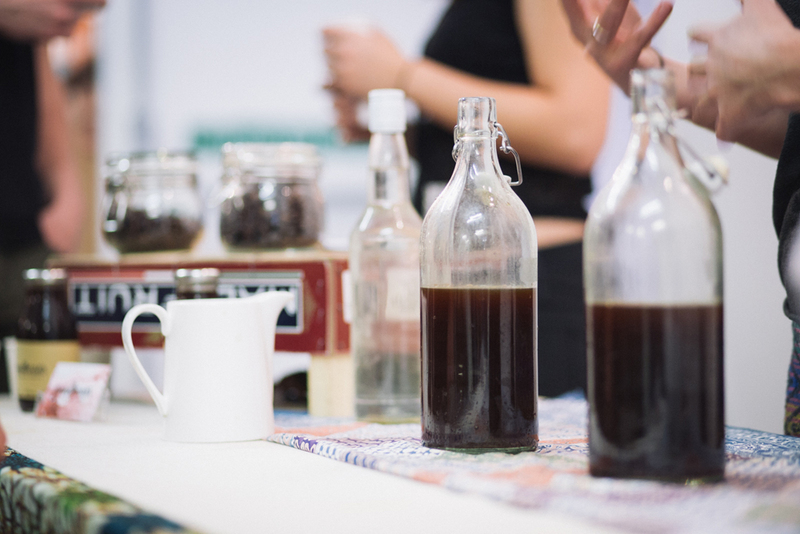 Becky: As we started experimenting with different cold brew coffees, we found independent coffee shops in London doing so as well. It was encouraging to see there was a market for it. Our strength is that focusing on that as our unique product allows a lot more care and attention to go into making it. What sets us apart is the community element to our business. We will be directing part of our profits to local groups who are doing amazing community work and partner with them to use the goodbeans brand to raise awareness about what they do. Some causes close to our hearts are mental health as well as the support and provision of opportunities for the most vulnerable. Our first two partners are the Jimmy Mizen Foundation and Street Souls. What’s been the biggest challenge in running Goodbeans so far? Becky: Time. With both of us currently still in full time jobs and developing other pursuits on the side, it’s been a busy 12 months getting goodbeans started. We have loved every minute however and although it might be our biggest challenge, we have already come so far. 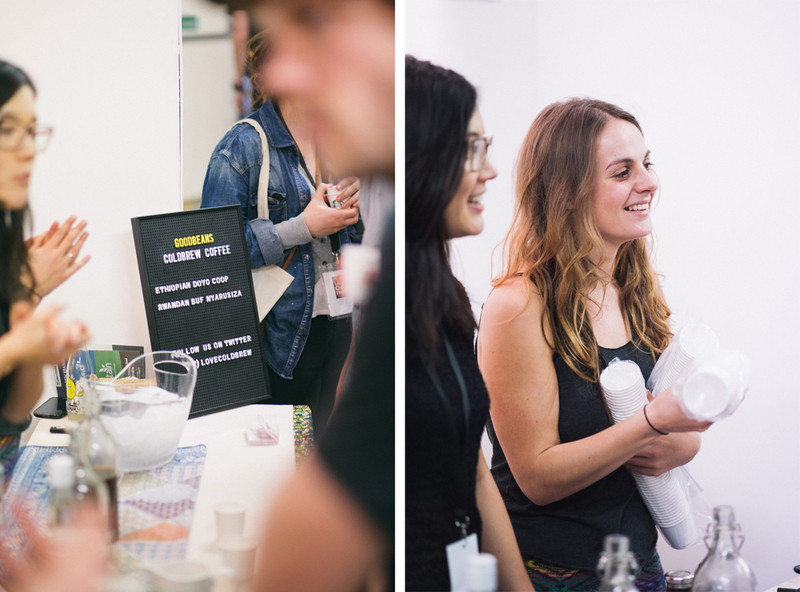 Rosa: Launching at the London Coffee Festival was a great way to kick off our new adventure. Talk to us a little more about your idea of helping local communities and groups and promoting what they do. How do you imagine that? Rosa: There’s a duality that runs throughout our business starting off with the fact that there are two of us behind it. We will be choosing which coffee beans to brew each season based on what is available and most tasty – a period anywhere from 4-6 months. Becky: Our goal is to have 2 different cold brew coffees per season that benefit 2 specific groups. It’s about shining a concentrated spotlight on the work the organisation does, feature their story on our website and through our other social media presence. Should there be an event taking place during that time frame we would love to supply it, but the vision is to go beyond that and to educate people on the great work happening right around the corner from them. Rosa: We hope it might encourage people to get involved personally with the projects if they wish and, of course, the money we can contribute as a result of our sales will help them continue making a difference. The following season we will brew 2 different cold brew coffees and work to promote and support another 2 groups. Who do you envisage drinking goodbeans? Becky: The great thing about goodbeans is that there is no typical drinker. Of course, it will appeal to those who already drink quality coffee, probably own a coffee maker and might even buy beans to brew at home. They know their coffee beans and have already heard about cold brew coffee. They also like to buy responsibly, from ethical and local sources when possible and love good cocktails and great food just as much. 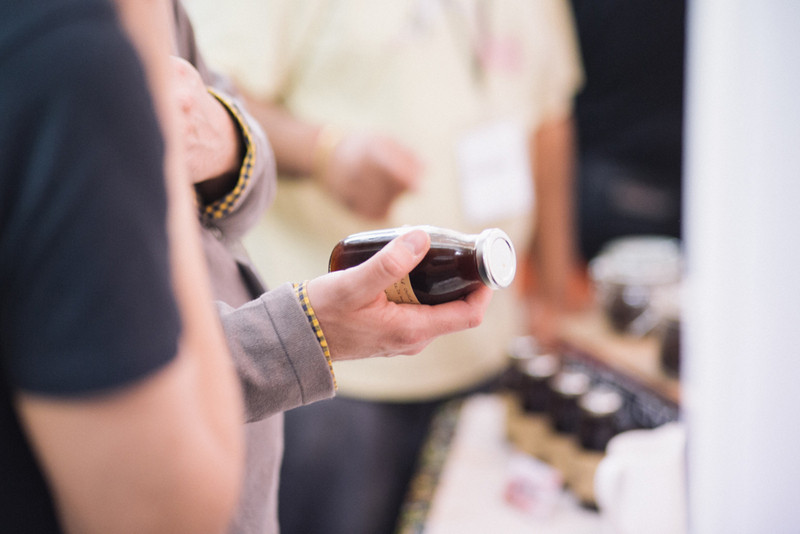 Rosa: Coffee junkies aside, most people won’t have heard about cold brew coffee and the best part of last summer was being able to introduce people to it, especially to those who wouldn’t normal drink coffee let alone a cold one! The fruitier beans adopt almost a tea like profile when brewed so I think it’s a pretty universal product. Rosa: We’re running a crowdfunding campaign at the moment on a new platform called GOODFRUIT. 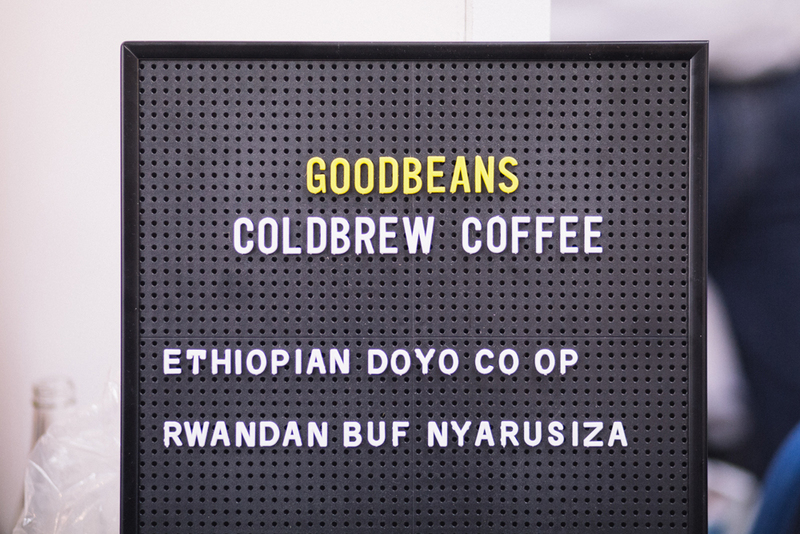 We’re calling all lovers of quality coffee to help bring goodbeans to life by backing us in exchange for cool rewards. We’ve dreamt up things we both like as well as collaborated with some exciting artists more people should know about! One dream you have for goodbeans in the future? Rosa: We’d love to personally source and roast our own coffee beans. We are lucky to have coffee suppliers who share our values at the moment, but we believe it’s important to develop our own relationships with coffee growers. Becky: Making cold brew coffee is just the start of goodbeans. One of the first social enterprises I was inspired by was Housing Works in New York who run a bookstore, café and creative work space with all profits fighting AIDS and homelessness. 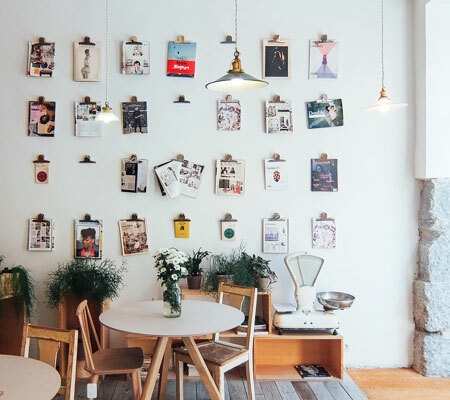 I’d love to set up something similar in London, offering community groups a free venue to run creative groups and workshops, hold art exhibitions, counselling sessions, fundraising events. I’m dreaming big now! 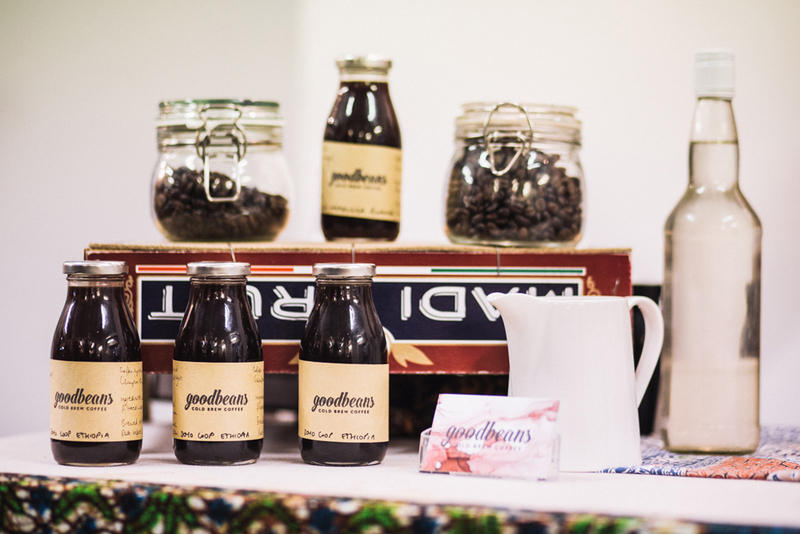 Support coldbrew in their crowdfunding campaign on GOODFRUIT.